We are an Aurora Chevy Dealer that buys used cars! We are on the lookout for used cars, trucks, vans and suvs. We’ll buy your car even if you don’t buy ours. Selling a vehicle by yourself can be a stressful and unpleasant experience. But, when you sell your vehicle to Ron Westphal Chevrolet, you remove the hassles of getting rid of your ride. Forget about having to take pictures, write and post ads or answer numerous phone calls day and night. You won’t have to invite strangers to your home and you won’t be forced to stay at home only to have potential buyers not show up. 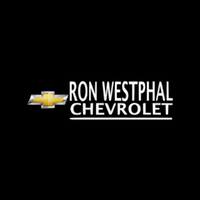 Let Ron Westphal Chevrolet evaluate your car, truck, van or suv and make you a firm offer to purchase. No matter the condition – whether you’re selling a rusty, old beater or a late-model luxury vehicle – we are interested in all types, makes and models. Yes, we are interested in purchasing Chevrolet and NON-Chevrolet vehicles. If you would like us to evaluate and appraise your vehicle and make you a firm offer to purchase, stop by our showroom and bring your title or payment book. Also, don’t forget the title, any extra keys, fobs and owner manuals and the vehicle’s registration. We will evaluate and appraise your vehicle and take care of all necessary paperwork at NO CHARGE. And, you are under no obligation to make a purchase. Ron Westphal Chevrolet is a family owned business that has been buying and selling new and used vehicles in Aurora, IL since 1985. If you would like to have Ron Westphal Chevy evaluate and appraise your vehicle, call us at 630-898-9630 and we will give you all the details. Or, drop by our showroom at your convenience.